Roadtrip 2014 – Lloydminster Vegan Food – Wok Box – vegan in your city. I’m still writing about our Summer Roadtrip 2014 adventure when we ate our way through the USA and Canada. After one final morning in Saskatoon, we drove on towards Edmonton. 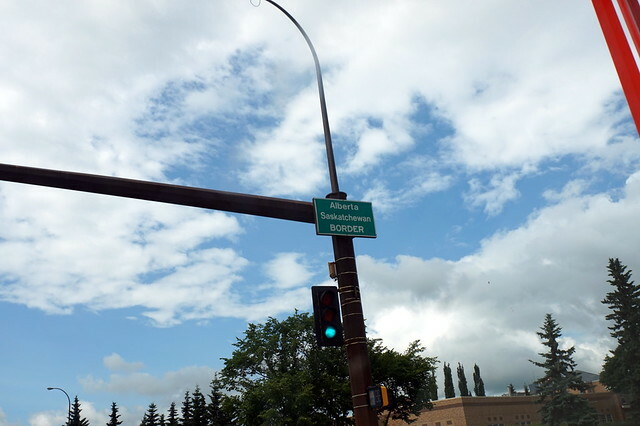 On Highway 16/aka Yellowhead, the natural midway point between Saskatoon and Edmonton has always been Lloydminster, which is a city that exists in both Saskatchewan and Alberta, it’s a decent place to fill up on gasoline, and grab a bite to eat. 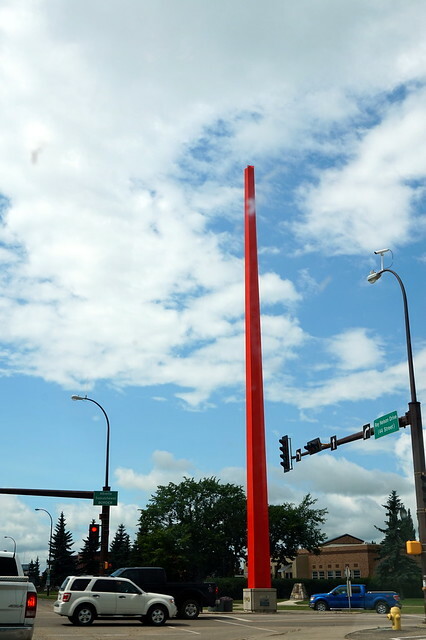 The weird thing about Lloydminster is that the Alberta-Saskatchewan border is delineated in the middle of the city, by a series of huge metal posts all the way down the street. Vegan options beyond going to a grocery store or Nutter’s Market are minimal, and in years past I was limited to wendy’s baked potatoes drenched in hot sauce, potato related things, or a smoothie, but on this visit I spotted a Wok Box and we rejoiced – especially since it would be the first time JC had ever visited the wonders of Wok Box. 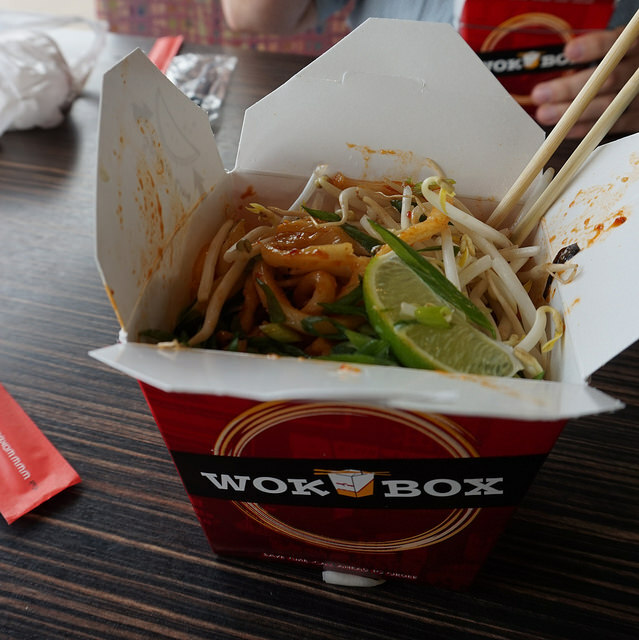 Wok Box does exist almost all over Canada (including a few locations in Ontario – Oshawa and London), but it’s still mainly a west-west central thing. 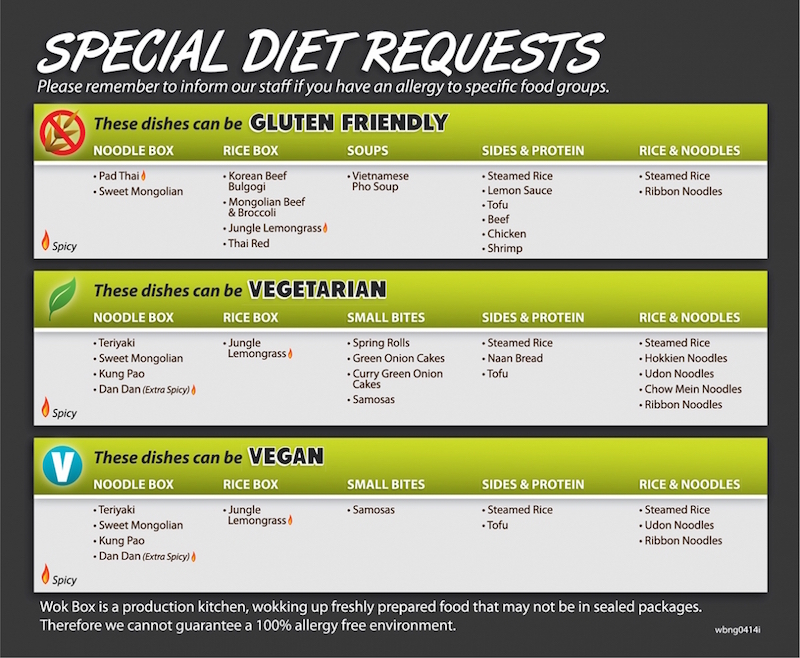 But they’ve been a vegan-friendly spot since the beginning, and they’ve been transparent about allergies and veg food both on their website, and with posters up at every location. I’m all about the Extra Spicy Dan Dan, with tofu, on udon noodles, and I get the same thing, every time. Be it in Lloydminster, or by gate 58 at the Edmonton International Airport – Post security Domestic-International area. Every time: Dan Dan. Tofu. Udon Noodles. I might be a creature of habit. My impression of the location in Lloydminster was really positive. They seemed to be very organized, customer service was fast and friendly, and best of all – they had both vegan food AND free wifi, and for a couple of nerds like us on a roadtrip, some food and wifi time was welcome after a couple of hours of driving. lloydminster, vegan food, wox box. Bookmark. IKEA Veggie Balls – Gronsaksbullar!! !